ILOILO City – A seaman from Barangay Mohon, Arevalo district disappeared from the international shipping vessel where he was working. 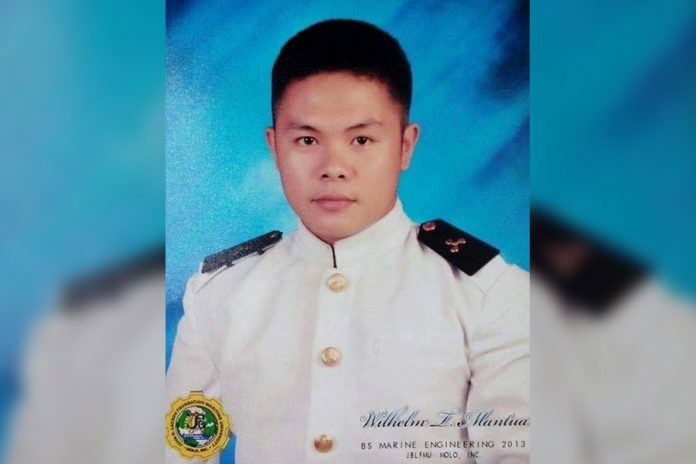 Wilhelm Mantua, 25, was a graduate of John B. Lacson Foundation Maritime University (JBLFMU) – Molo. M/V Lady Ami was preparing to leave the port of Liepaja in Latvia on Feb. 1 when colleagues noticed that Mantua was nowhere to be found, a post from the Facebook page Marino Ph stated. The operation did not yield anything. At the time of the Facebook post, according to Marino Ph, M/V Lady Ami was still moored at the port of Liepaja supporting authorities in the search. “Our thoughts and prayers are with the family of Wilhelm and the crew on board of M/V Ami. – Board of Directors,” ended the post. The seaman’s elder brother Angelo confirmed that their family was informed of Wilhelm’s disappearance in the afternoon of Feb. 1 and that the search and rescue operation had been on and off because of the very cold weather condition in Leipaja. According to Angelo, the last time he was able to talk to Wilhelm was through a mobile phone video call and his younger brother did not mention having any problem. Wilhelm, the youngest among five siblings, had been on board M/V Lady Ami for almost a year already. He was scheduled to go home this month. Angelo said their mother and a sister flew to Manila on Feb. 3 to get updates from the shipping company.